Need to Replace a Hydraulic Pump – What Do I Need to Know? Whether gear, vane or piston pump, there may come a time when you have to replace your hydraulic pump. When your equipment isn’t working properly and you have narrowed the problem down to a hydraulic pump that needs to be replaced, what do you need to know? Why did the pump fail? Has the equipment been operating acceptably with this pump for a number of years without incident, and has the decline in performance been gradual over a longer period of time? If so, then maybe the pump has just reached the end of its expected life. In this case, you’ll need to get the pump make and model number so that you can make sure that your replacement will be correct – either with an exact replacement or with another make that has the same operating specifications. In any case, when replacing a failed hydraulic pump you will want to make sure to use this opportunity to also change out your hydraulic fluid (or at the very least use a filter cart and filter your oil). In the process of failing, your pump has introduced contaminants into your hydraulic system that you want to remove before they damage your new pump or any other hydraulic component. *You will want to change your filter element(s) when you install your new pump, and then change it (them) out after a break-in period on your new pump. If not, then let’s make sure there is not something else going on, or you may just find yourself replacing pumps frequently because the underlying problem hasn’t been addressed. By examining the internal components of the pump you can often find leads as to what caused the failure – see pump failure chart. 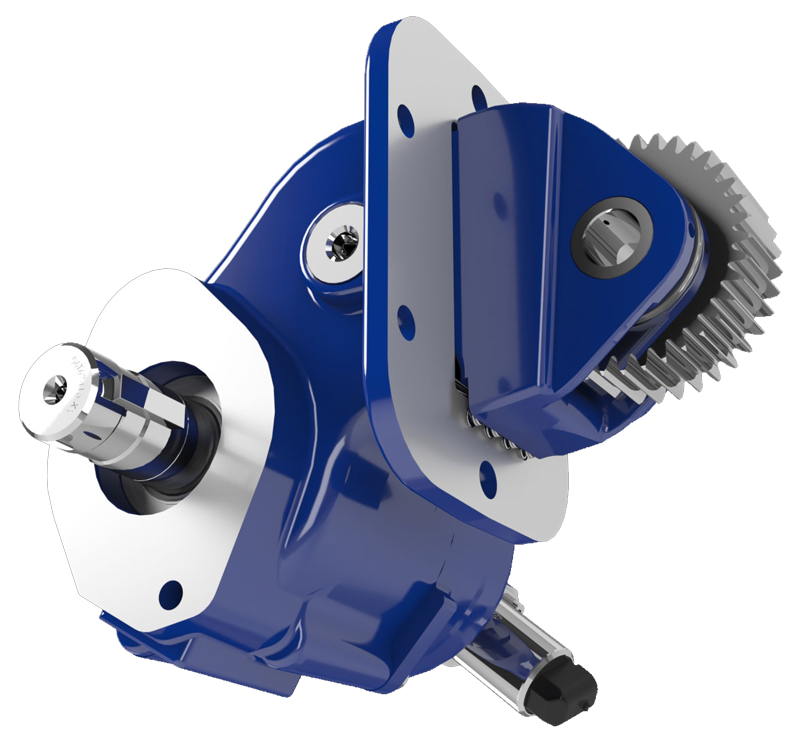 Input shaft is twisted/broken – this occurs due to an extreme shock load to the pump. Typically, this happens when a relief valve is missing from the system, not functioning correctly, set to a much higher value than what the pump can withstand, or is too small for the system flow and thus cannot function correctly. Using a “wet spline” arrangement that keeps the PTO and pump shafts immersed in a bath of oil. Using a greasable PTO shaft and being sure to include adding grease as part of the regular maintenance program. Using larger pump and PTO shafts will not eliminate fretting, but may resolve the problem because of the increased metal available before the failure occurs. Cavitation – the pump has been starved of oil. Check to see that there is a sufficient amount of oil in the reservoir. *Not just when the system is at rest – but also when all cylinders are extended to their maximum length or when all the components are running. Make sure that all shut off valves are open, are of the proper type, and are allowing unrestricted flow. Make sure that the inlet hose to the pump is the correct type (100R4), correct size (bigger is always better – don’t skimp here) and is undamaged. Make sure that the pump is able to get a good flow of oil from the reservoir – pumps are designed to have the oil feed pushed to the pump by gravity and atmospheric pressure, not by “sucking” oil. If the oil level in the reservoir is lower than the inlet of the pump, or the run too long or uphill, oil may not flow adequately to the pump. *You can check if the pump is receiving oil adequately by using a vacuum gauge at the pump inlet. For a standard gear pump, at maximum operating RPM, the gauge should read a maximum of 5 inches HG. Larger numbers will damage a gear pump, and if you have a piston pump, the maximum number will be lower for good pump life. Over pressurization: Pressure relief settings may have been adjusted/changed and are now higher than what the pump can withstand without causing damage. Pumps don’t produce pressure, they produce flow and are built to withstand pressure. When the system pressure exceeds the pump design, failure begins – either gradually or catastrophically. When installing the new pump, back all the relief settings off. Then with the use of a pressure gauge T’d in at the pump outlet, gradually adjust the pressure relief setting until a cylinder or motor begins to move. Once the cylinder has reached the end of its stroke, gradually increase the pressure relief setting until reaching the max system pressure (which would be the pressure rating of the lowest rated component in the system). *Sometimes, if a pump has been replaced and is larger than the original (produces more flow), the relief may not be able to allow all the flow being produced to escape back to tank. When that happens, the relief valve is “saturated” and the effect is the same as having no relief in the system. Pressures can reach levels much higher than the relief settings and components can be damaged or destroyed. Contamination: Over time, the system oil has gotten dirty or contaminated and no longer is able to lubricate the pump, or is carrying contamination to the pump. Make sure the oil is clean, the oil filer changed on schedule, and that there are no entry points for contamination like water, dust or dirt from a reservoir filler cap that is unfiltered or missing, seals in motors or cylinders that are allowing contaminants in, etc. New hoses can contain leftover bits of rubber and metal particles from the cutting and crimping process and should be cleaned out before installation. New metal hydraulic reservoirs may have rust or welding slag inside and should be cleaned thoroughly before being placed into service. Other components, such as motors or cylinders, that fail introduce contaminants that can find their way to the pump. Even new oil may be quite dirty if stored incorrectly or exposed to dust and dirt. It’s always a good idea to use a filter cart and filter the system once it’s refilled with oil before turning on the system. These are the most common failure types and causes. Eliminate the cause and you can enjoy long, dependable pump life and equipment operation.